There's not much there. Or at least not much that couldn't also be heard in any newsroom cafeteria, senior common room or neighborhood bar. The Arabs are worried about Iran? Gee. Sarkozy has a temper? Whatever next? The Canadians' major export is moral rectitude? Quelle surprise! There may be more to come, but so far, WikiLeaks is just a tepid drip of low level gossip. At least the New York Times sent a number of the leaks to the Obama administration to make sure that what they would publish wouldn't endanger anyone. The administration asked to redact some aspects. The Times agreed to some and refused to do others. WikiLeaks showed no such ethical consideration. 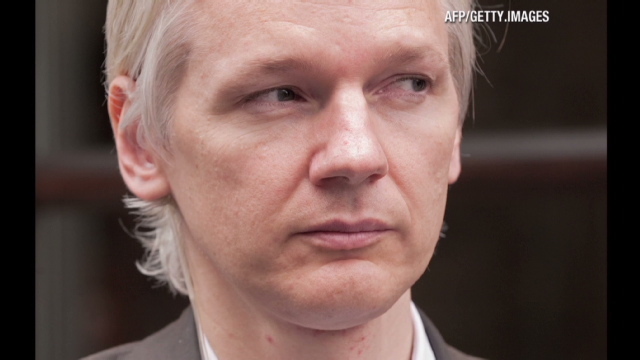 For Julian Assange, the reclusive leaker-in-chief, it was publish and be damned. If he thought this was information that would change the nature of diplomacy, he must be very naive. The result of this outpouring of (so far) non-information is that news organizations are going to have a much harder time getting a government source to go on background for any real information. It's going to be very hard to be a diplomatic correspondent for the next little while. The Americans will make sure that not much gets leaked for the foreseeable future. Ironically, after 9/11 when it was shown how little information was being exchanged among various intelligence agencies, the rules for sharing were loosened up. The result was that it was easier to have access to cross-agency intelligence. But the consequences for real investigative reporting and responsible journalism have now become much tougher thanks to WikiLeaks. "There are legitimate reasons for keeping many diplomatic conversations secret. The latest WikiLeaks revelations will cause awkward moments not least because they contain blunt assessments of world leaders. The claim by Secretary of State Hillary Rodham Clinton that the leaks threaten national security seems exaggerated. The documents are valuable because they illuminate American policy in a way that Americans and others deserve to see." Well, if journalists had been doing their jobs by reporting most of this material ( for it is newsworthy), we wouldn't need a Wikileaks, would we? By allowing it to be public, it not only allows Americans to see it, but people who can and WILL use it against Americans. The government's primary job is to protect the people of the United States. Freedom of speech/press applies to U.S. citizens. Julian Assange has never held U.S. citizenship. He holds Australian citizenship. WikiLeaks published a classified cable which listed locations whose loss would cause critical damage to U.S. interests. Good for illumination of American policy? All the while endangering lives and the well being of the United States?